Product prices and availability are accurate as of 2019-04-19 13:55:21 EDT and are subject to change. Any price and availability information displayed on http://www.amazon.com/ at the time of purchase will apply to the purchase of this product. 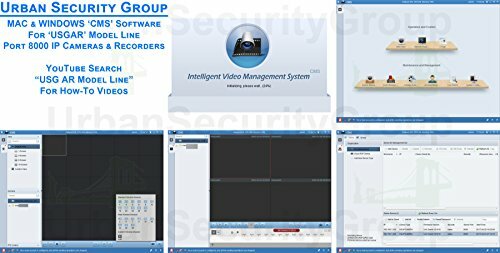 Whether upgrading an old or installing a new video surveillance system, Urban Security Group's business grade level HD-TVI DVRs are a tried, tested and proven top choice for retail consumers and professional CCTV installers alike! 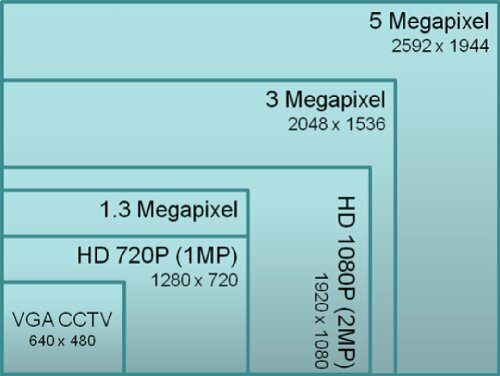 5MP / 3MP / 1080P 2MP 1920*1080P @ 30FPS Crystal Clear HD Video! Transmit 1,500 Feet With Coaxial or 700 Feet Over Network Cable With Regular Balun! Does Not Require Complex IP Networking Addressing! Does Not Use Your Network's Bandwidth! 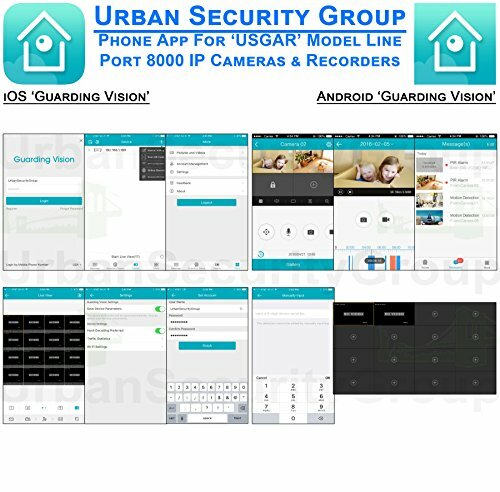 Amazon Search "Urban Security Group" For More Of Our Pro Grade CCTV Products! A Professional CCTV Installer AND Networking Knowledge ALWAYS Recommended! 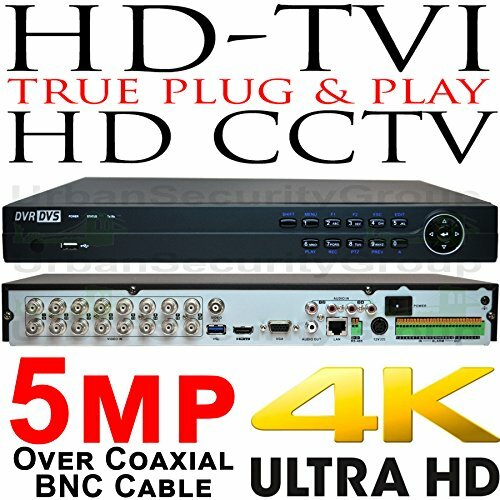 USG 'USGAR' Model Line ** Business Grade Ultra 4K High Definition HD-TVI Digital Video Recorder (DVR) With PREMIUM Internal Components = DO NOT BE FOOLED BY OUR COMPETITION WITH SAME CASE BUT DIFFERENT INFERIOR INTERNAL COMPONENTS! View & Record HD-TVI 16 Channels 5MP @ 12FPS / 3MP @ 15FPS / 2MP 1080P @ 30FPS ***** 16x BNC Video-In ***** Simply Plug In Your HD-TVI Camera And Video Plays ***** No Need For Complex IP Network Addressing ***** DVR Also Supports 2MP AHD + 960H Analog + 2x 4MP IP Cameras! 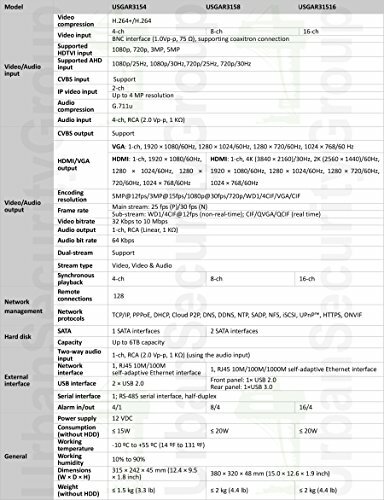 HDMI + VGA + BNC Video Outputs ***** Supports 2x SATA 6TB Each HDD ***** RCA 4x Audio In + 1x Out ***** 2x USB Ports ***** 1x RS485 **** 16x Alarm-in + 4x Alarm-Out View Live & Recorded Video Remotely On Your Apple & Android Smartphones & Tablets, Mac & Windows Laptops & Computers Anywhere In The World Using Our Simple P2P Cloud ID and/or Direct IP Connections! 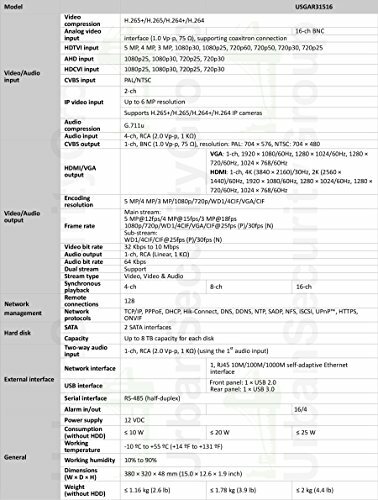 HD-TVI = Send Video, Audio, and PTZ Control Over One Single Cable ***** TRUE Plug & Play ***** 0 Latency No Delay Video Transmission ***** Do NOT Be Fooled By Our Chinese Competitors With Inferior Chipsets, Components, Quality Controls & Lackluster Warranties!